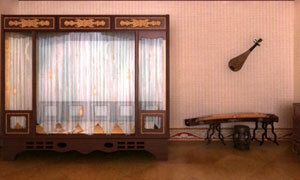 Classical Scholar House Escape is point and click, escape game by flash512. Suddenly you woke up in a classic bedroom. You couldn't remember when and why you are here. Confusing by the situation, you looked at the room. The layout is special. But the front door is locked. It hasn't be visited for a long time. It seems you have to find the hidden clues to unravel the mystery to escape out. Good luck and have fun.